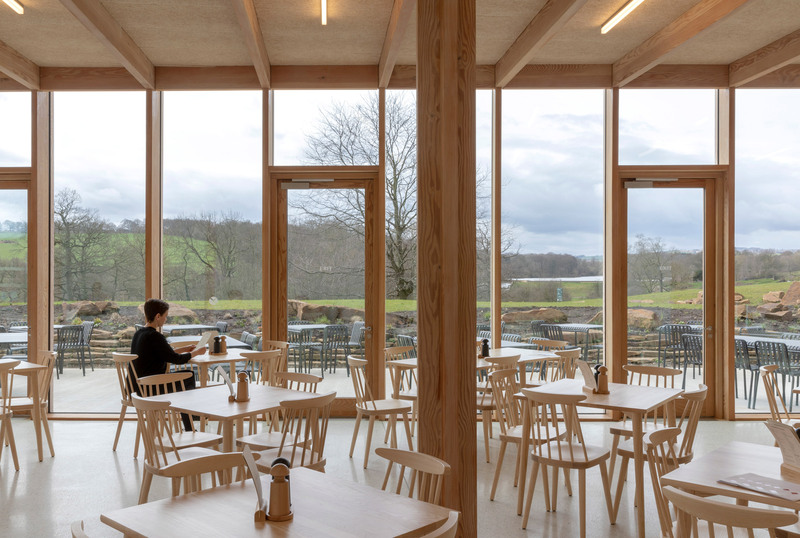 A gallery, interpretation space, restaurant and shop designed by Feilden Fowles has opened at the Yorkshire Sculpture Park in northern England. 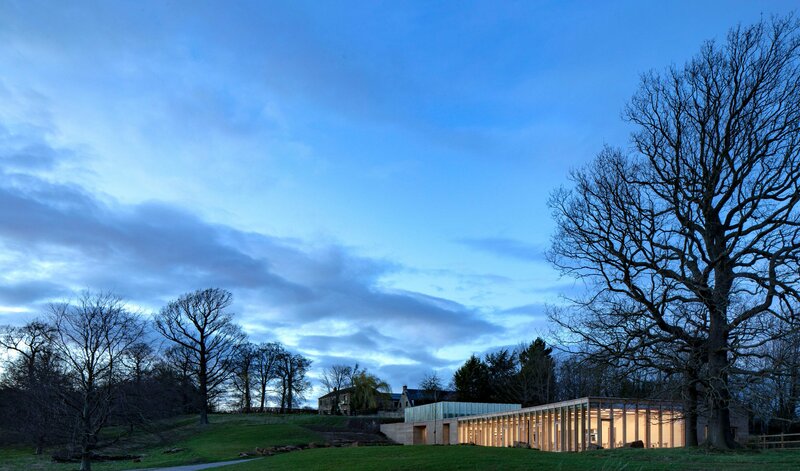 The Weston is a visitor centre marking the entrance to the Yorkshire Sculpture Park – an open-air gallery in West Yorkshire that includes works by numerous internationally renowned artists including Henry Moore and Barbara Hepworth. 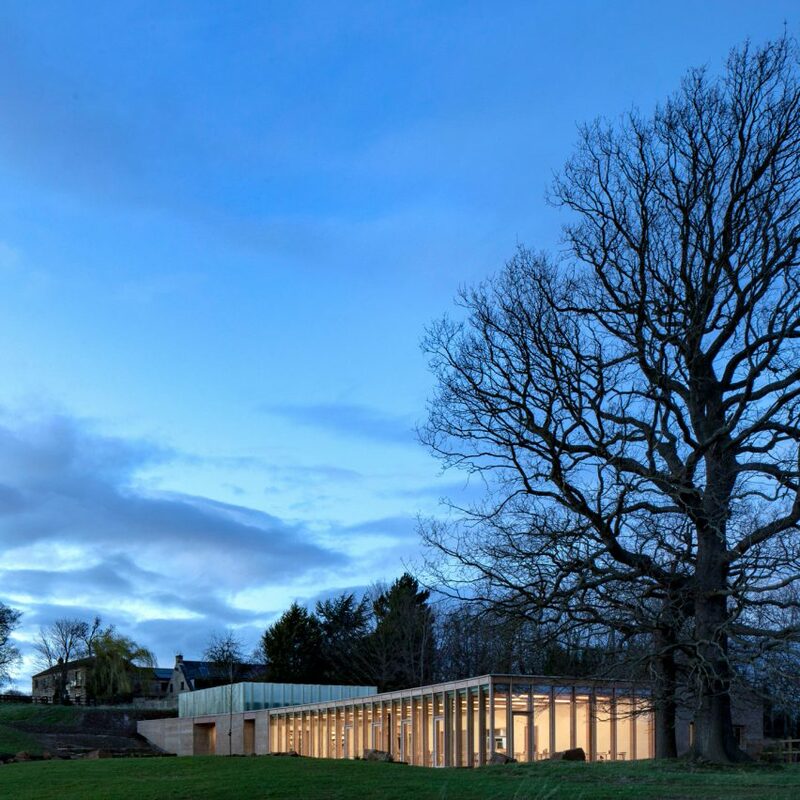 “The building is designed to have minimal impact on the historic landscape and to serve as a subtle and respectful landmark on the eastern boundary of the sculpture park,” explained Fergus Feilden, director of Feilden Fowles. “However, viewed from the bridge over the lake it is clearly a distinct manmade intervention on the edge of the park, the only true horizontal in the rugged parkland,” he told Dezeen. 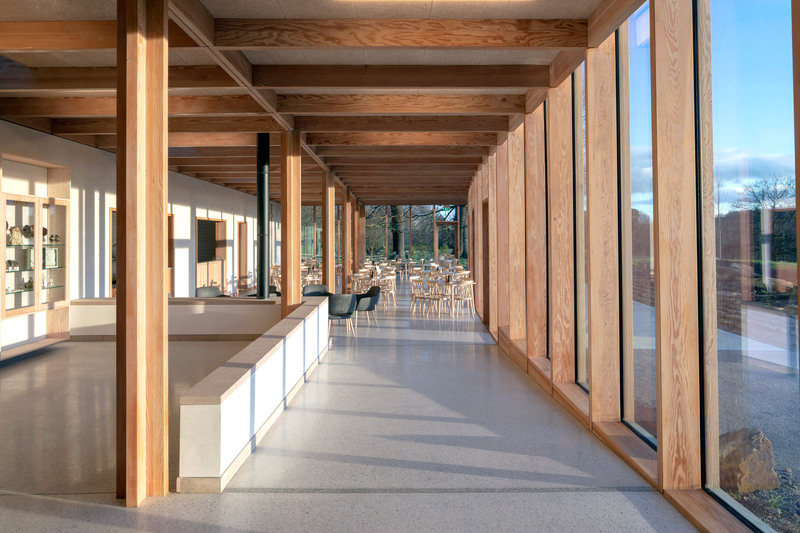 Along with marking the eastern entrance to the park, the visitor centre contains a central lobby with a gallery space and shop on one side and toilets and a restaurant on the other. Built aligned with the park’s boundary, the building has two distinct faces. The eastern facade, which faces out of the park and visitors see as they arrive, is a solid concrete wall punctuated only by the entrance. In contrast a largely glass facade faces the park. “There are two greatly contrasting elevations responding to their context,” said Feilden. “To the east we have a simple monolithic wall, which provides an acoustic buffer or wall of silence through which visitors pass. This concept was inspired by huge pieces of land-art including Double Negative by Michael Heizer and Observatory Number 5 by Robert Morris,” he continued. The visitor centre’s walls are constructed from layered pigmented concrete, with the kitchen and toilet arranged within the solid eastern wall and the gallery space wrapped in the material. A fair-faced concrete box dropped into the pigmented concrete outer walls contains the gallery, which is lit from top with a succession of saw-toothed roof lights. Looking out towards the park, the restaurant is contained within a timber-framed glass box. The Weston, which sits within a historic quarry, was designed to have a small impact on the park as possible, and be sympathetic to the existing buildings in the landscape of the 18th-century Bretton Estate. 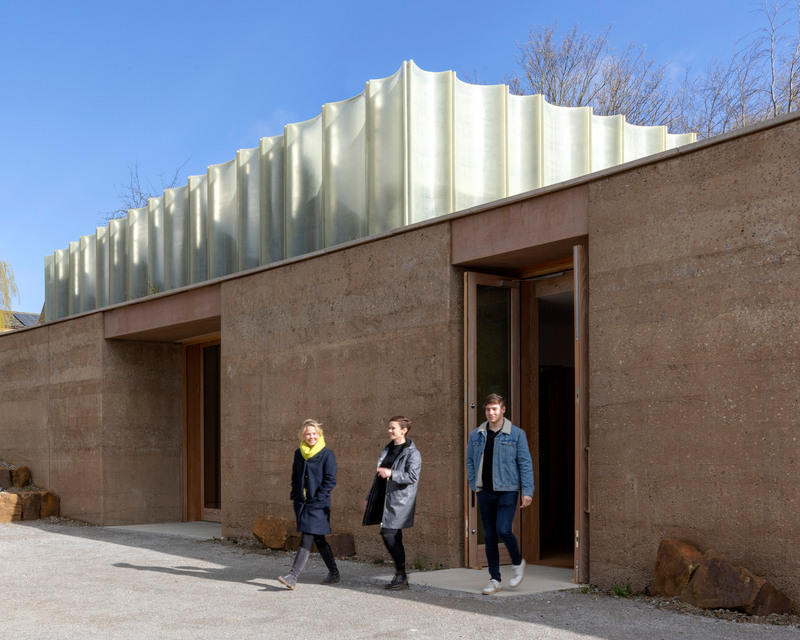 “The quarry provided a sheltered depression in the land within which we could site the building and nestle the gallery space deep into the hillside,” said Feilden. 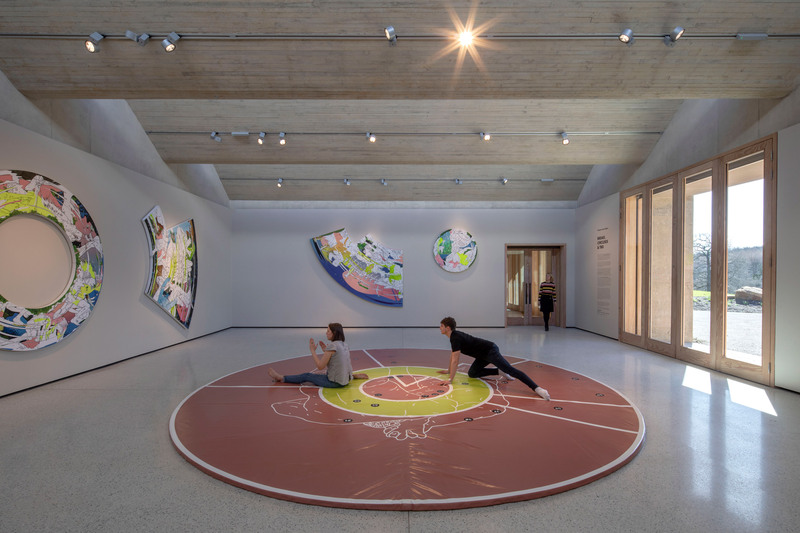 Inside the building Feilden Fowles has tried to keep the building’s finishes simple to create a sheltered, intimate atmosphere. 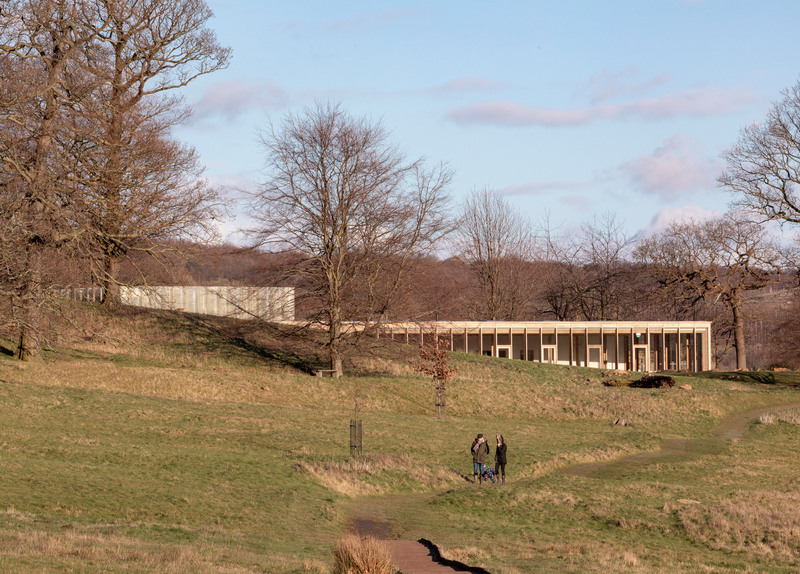 “The building frames the key views across the deer park towards the lake and Bretton Hall, while having a distinctly domestic feel and scale,” said Feilden. London-based Feilden Fowles was founded by Fergus Feilden and Edmund Fowles in 2010. The Weston is the studio’s highest profile project to-date. It is one of several visitor centres recently completed around the world, along with a building that welcomes visitors to the former home of French prime minister Georges Clemenceau in western France and a welcome centre for a dinosaur fossil park in Texas. 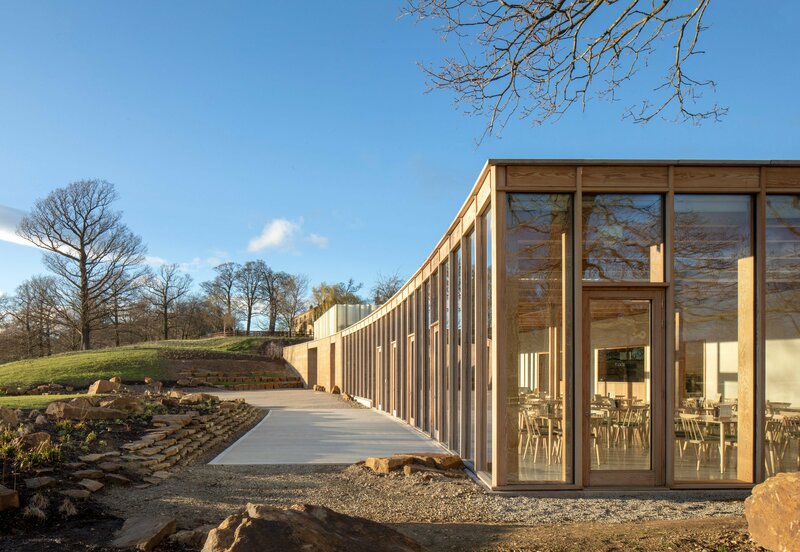 The post Feilden Fowles unveils The Weston visitor centre at Yorkshire Sculpture Park appeared first on Dezeen.